After the first announcement in February, Disneyland Paris has published further details of its Inaugural Half Marathon Weekend event scheduled to take place on September 23-25, 2016. 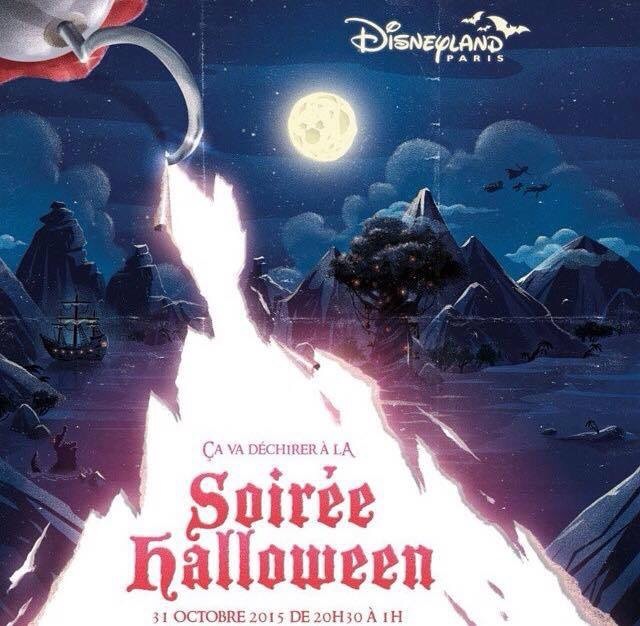 This event never seen before in Europe will take place at Disneyland Paris. It will propose a mix of unique races for kids and adults. The weekend will be organized with support of runDisney and its successful 20 years experience in staging running events at US Disney theme parks. The new three-day race weekend will involve kids races, a 5K family race and a half marathon, plus several family fun experiences such as the Health and Fitness Expo, a Friday night private party and the Saturday night pre-race Pasta Party. “We couldn’t be more excited about the upcoming runDisney. It will make Disneyland Paris the world’s third Disney destination to host this successful sporting event that offers a whole new running experience for the young and young-at-heart,’’ said Tom Wolber, Président of Euro Disney S.A.S. It’s a storybook run straight out of a fairy tale through Disneyland Paris and the countryside villages that surround the Disney Parks. And that’s just the start of excitement: amazing courses, special events, family and kids’ races, a fun-filled finish line celebration and everyone’s beloved Disney characters and animations to cheer along the courses and create unforgettable weekend memories. The half marathon will immerse participants in the middle of all the Disney magic through the two spectacular Disney Parks and then through the countryside and villages around the Parks before circling back to Disney Village en route to the finish line for a victory celebration and exclusive Disneyland Paris Inaugural Half Marathon finisher medal. Disney Characters and animations will be along the race course to make it even more fun and magical! Share the adventure with a magical family run through Disneyland Paris cheered on by Disney Characters. Participants will run through the two Disney Parks. Perfect for beginners, intermediates or even racing veterans aged pre-teen and older, this is a running event where families pass the finishing line with unforgettable memories. A magical race for the youngest runners! Children under 12 are invited to participate in a series of runs designed specifically for them. Parents can also run with their kids. The event will feature a 100m dash followed by the 200m and 400m races. For older kids, there is even a 1K and 2K race! And every participant will go home as a winner with their very own runDisney Kids Races Inaugural Event Finisher Medallion! One-Stop headquarters for everyone’s race weekend needs! Disneyland Paris Inaugural Half Marathon Weekend will definitely be a unique and unforgettable experience in Europe. So warm up, on your marks, get set, and be one of the first to enjoy miles of smiles on a magical run through Disneyland Paris! Laurent Charbonnier talks about the Disneyland Paris running weekend. 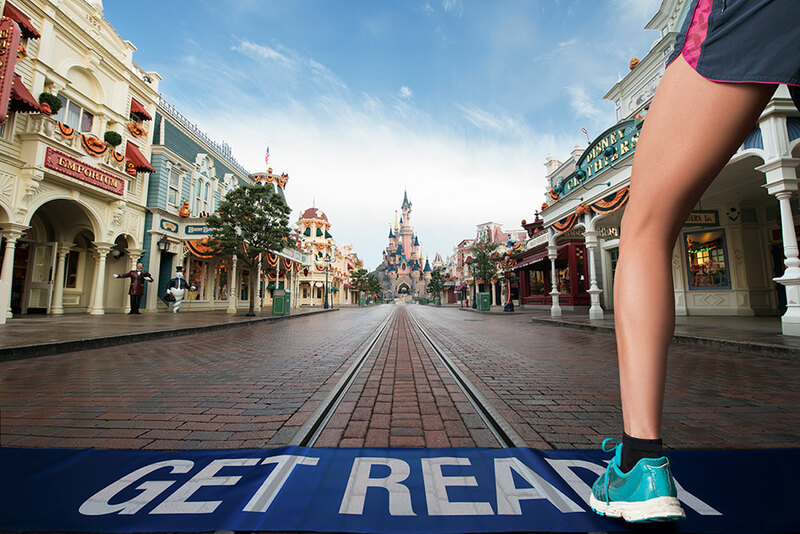 In September 2016, Disneyland® Paris will organize its first running week-end. It will involve children and adults and the races will be adapted to each one. The Business Solutions teams – supported by the runDisney teams– , have a little more than a year to set this first ever project in Europe. “We couldn’t be more excited about the upcoming runDisney. It will make Disneyland Paris the world’s third Disney destination to host this successful sporting event that offers a whole new running experience for the young and young-at-heart,’’ said Tom Wolber, Président of Euro Disney S.A.S.during the official announcement. To better understand the ambition and the logistic challenges of such an event, Disneyland Paris News met with Laurent Charbonnier from the Business Solutions teams. He is in charge of organizing the half-marathon week-end at Disneyland Paris. This half-marathon at Disneyland Paris is not the first great sports event for which you have worked. Could you tell us a little about your history at Disneyland Paris? Disneyland Paris hosts a great variety of sports events, like the world weightlifting championships (Championnats du Monde d’Haltérophilie) or the Disneyland Paris Leaders CupLNB between the best French basketball teams, and in the near future they will welcome the first Disneyland Paris half-marathon as well as the Junior Ryder Golf Cup (2018). Each event is a unique experience and it allows Business Solutions – the department I have been working in now for over eight years – to show another aspect of our activity: sports events. I have always worked in the event sector and I am a real sports fan. So to be able to bring together these two aspects, and what is more in this magical destination of ours, allows me to help satisfy and enchant the participants as well as the spectators. This semi-marathon is a major first for Disneyland Paris. Which are the main challenges you will face to organize it? An event of so wide a scope is a true logistical and operational challenge, since it will involve a great number of venues. Not only the two theme parks and the backstage areas, but certain areas outside our site in the neighbouring municipalities will also be concerned. We therefore have to ensure a perfect cohesion between the different actors in every aspect of the organization, the course of the race and the entertainment. But that is not all. The contents of this event must also be unique. Our motto is, “Each kilometer is magical.” The first-objective is to offer all the participants and the people who accompany them a unique experience, in line with the Disneyland Paris quality standards, and those of runDisney, our American partner. They have been running –excuse the pun! – this type of event in Florida and California for nearly 20 years! And more concretely, how do you prepare this type of event? The event in 2016 will be a major first time at Disneyland Paris. A sort of inauguration. It is important to work up stream and prepare the different teams that will be intervening, so that each person and team can feel empowered. This transversal project pulls in a great number of different departments much before the event itself. In total there are some fifty departments, including sales, distribution, communication, marketing, the creative services, entertainment, merchandise, etc. Then we must remain in tune with all the operational participants throughout the preparatory phase and the event itself, needless to say. For nearly two years I have been totally involved 7/24 in this event. I am accompanied by my colleagues whom I thank for their efficiency, their professionalism and their sense of humour! It’s too early to talk about numbers. The runDisney concept lies more on the experience than on the performance. And the phenomenon of « experiential » races is in full development in running. Our event has already garnered great interest that we can measure by the feedback on the social networks. Nevertheless, in order to reach perfect + quality, we have limited the number of participants for the various races (children’s races, 5km family race and half-marathon). We expect half of the participants to be foreign. Three years after unveiling its French Forum, Disneyland Paris will launch a brand new platform targeting the English-speaking community tomorrow. Officially launching on Monday 28 June 2016 the Go Disneyland Paris Official Forum will be a place where you can chat away sharing hints and tips about Europe’s leading tourist destination. Which hotel should you choose and why? What are guests’ top tips? Where’s the best place to lunch with little ones? They can also discover new exclusive categories such as “Grown up kids”, or find information on things to do in the local area. The Official Disneyland Paris Forum will give Guests the opportunity to share all their inside information on the Parks and to ask and answer all those crucial pre-trip queries, ensuring everyone’s stay is pure magic. 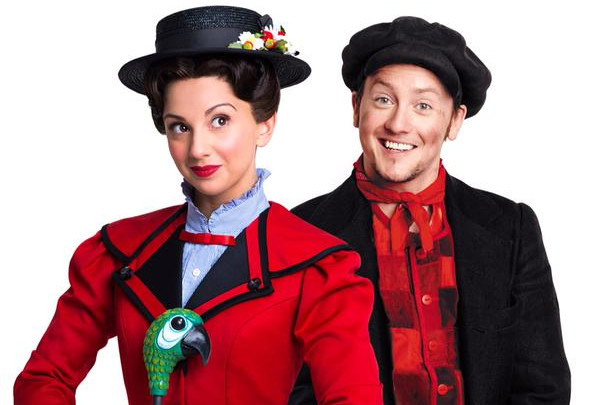 Zizi Strallen will take the staring role in the upcoming UK tour of Mary Poppins. The production by Richard Eyre will also feature Australian actor Matt Lee as Bert. Zizi Strallen whose other stage credits include Cats, Merrily We Roll Along and Rock of Ages is currently touring the UK in Matthew Bourne’s Car Man. Matt Lee played Bert in the Australian production of Mary Poppins, for which he won a Helpmann Award for Best Male Actor in a Musical. he has also stared in We Will Rock You, Rent and Grease. Mary Poppins has a book by Downton Abbey creator Julian Fellowes and includes the classic songs “Jolly Holiday”, “Step in Time”, “Supercalifragilisticexpialidocious” and “Feed the Birds”. New songs and additional music and lyrics were added by the Olivier award-winning British team of George Stiles and Anthony Drewe. The stage production of Mary Poppins originally opened in 2004 and ran in the West End for three years. Zizi will be following in the footsteps of her sister Scarlett, who played the title role in the West End and on Broadway. Tokyo Disney Resort has announced their plans for Tokyo DisneySea’s 15th anniversary. 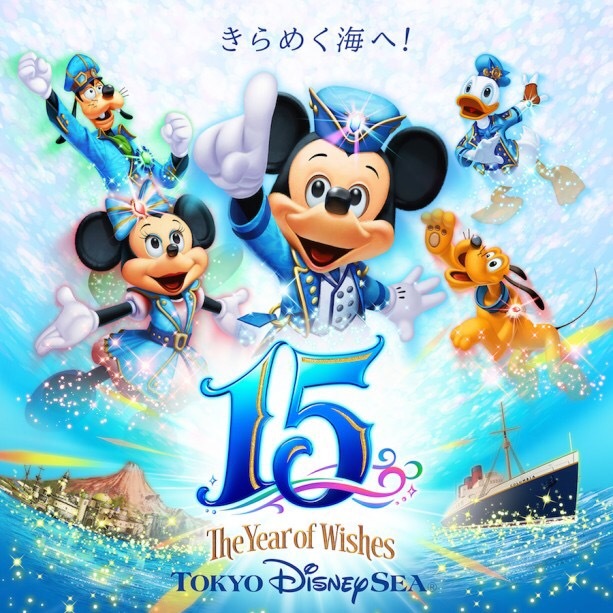 The “Tokyo DisneySea 15th Anniversary: The Year of Wishes” celebration will commence on 15 April 2016, and run through 17 March 2017. The celebration will focus on wishes and dreams, symbolized in the form of crystals which will decorate the park. As a part of the celebration, guests will be able to enjoy the new show “Crystal Wishes Journey,” at Mediterranean Harbor, in which Disney characters will share their own wishes in the show. Also on the first day of the event, a new version of “Big Band Beat,” the popular show presented at the Broadway Music Theatre, will debut with new music, costumes and scenes. This will be the first time that the show has been changed since it opened in July 2006. Halloween Soirée tickets now available. Tickets for this years Halloween Soirée which will be held on 31 October 2015 were released for sale today. Disneyland Paris to ban selfie sticks on rides. 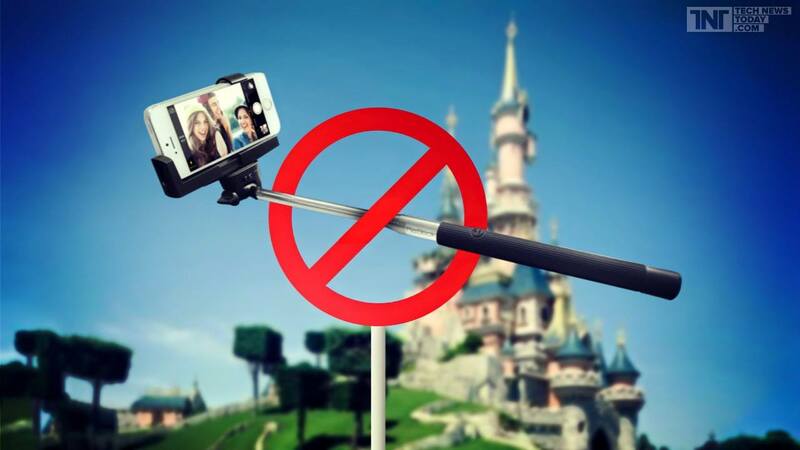 @InsideDLParis are reporting that from July 2015, Disneyland Paris will no longer allow the use of selfie sticks inside attractions and on rides at Parc Disneyland and Walt Disney Studios. If this ban goes ahead and is enforced, Disneyland Paris will be joining a range of other venues who have banned the use of selfie sticks which can be used to extend cameras for up to 3 feet away from the user. In the United Kingdom selfie sticks are banned from the London O2 arena and the National Gallery. Elsewhere in Europe The Palace of Versailles and Rome’s Colosseum have also banned the use of selfie sticks on safety considerations. At Chessington World of Adventures, Alton Towers and the nearby Drayton Manor theme parks in the United Kingdom, selfie sticks are also banned on rides. In the USA Disney policy forbids visitors from using the sticks on its rides at Disneyland and Walt Disney World. A “No Selfie Sticks” sign has appeared at the Magic Kingdom’s Big Thunder Mountain Railroad and similar signs have been posted at Space Mountain and Big Thunder Mountain at Disneyland in California.